Sentosa Martial Arts has become a landmark of Martial Arts training in Avondale, Goodyear, Tolleson, Cashion, Buckeye and Litchfield Park. It is owned by Jerry Laurita who leads an extremely talented group of instructors and black belts. Get started now and find out how you can be healthier, happier, AND more successful through training! Sentosa Martial Arts is an institution of self-improvement and the home of champions. You and your family are in good, caring hands with the Sentosa Martial Arts team. 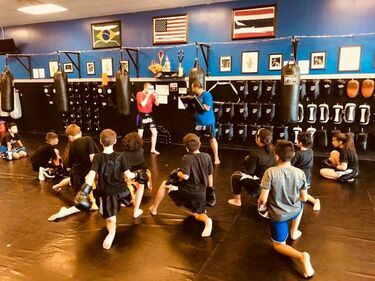 With their focus on creating a POSITIVE, safe, fun training environment, Sentosa Martial Arts has earned the reputation in Avondale as being one of the top Martial Arts school and character development center in Arizona as well as being the only authentic Muay Thai school in Avondale, Goodyear and Litchfield Park. Although some people think the martial arts are about just fighting, our program is so much more. When you train in our classes, you take advantage of the best self-improvement system in the world.